Harley-Davidson Bar & Shield Bar Stool with Backrest HDL-12204 - California Car Cover Co. 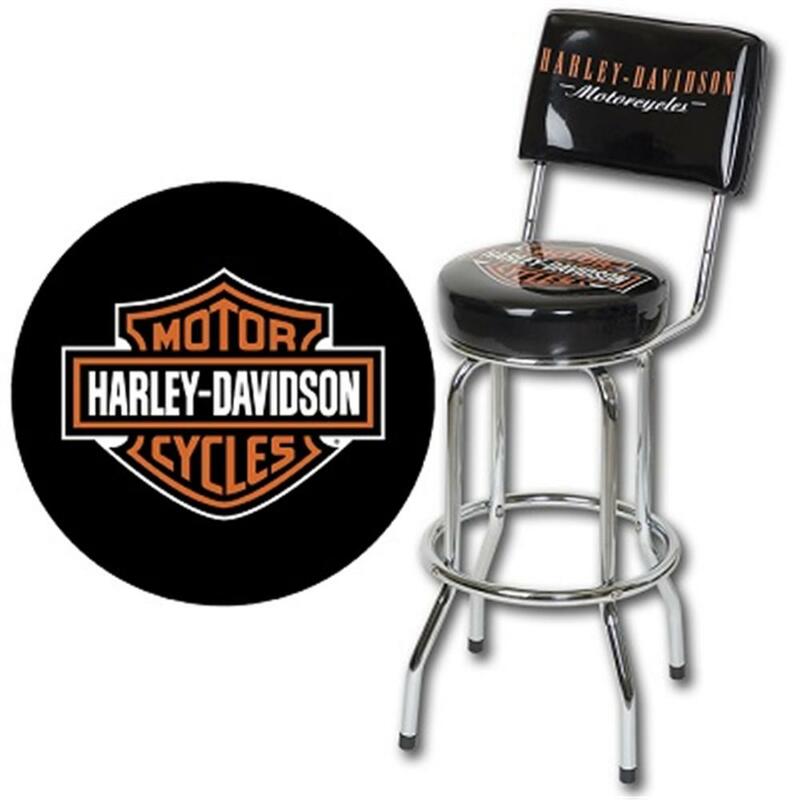 The premium quality HDL-12204 Harley-Davidson Bar & Shield Bar Stool with backrest is constructed from a heavy gauge 1" tubular steel frame with lustrous chrome plated finish. Commercial grade vinyl covering is embossed with the H-D Bar & Shield logo. Thick foam padded seats rotate on a 360 degree revolving swivel. Easy assembly required. Recommended for indoor use only. Seat height is 30", seat diameter 14" and height to top of backrest is 42". 250 pound weight capacity.